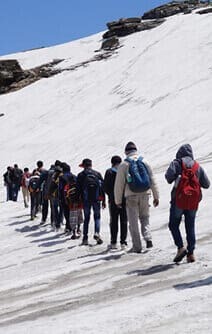 Valley of Gods, Chandrakhani Pass is amongst the most beautiful treks, that will introduce you to the remote, hilly cultures of Himachal Pradesh and the scenic beauty of Kullu Valley. The mountain peaks that dot the horizon is a treat for nature lovers throughout the journey. The enchanting beauty and appeal of the place comes from the trail that leads to the Pass. The ordination of this enormous elevation is from the scenic Naggar settlement, which is located around 21km from Manali. 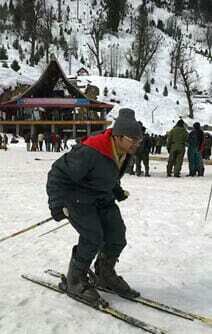 Here, one can enjoy the fantabulous views of the Deo Tibba, Parbati and Pir Panjal peaks. Also, jotted with luscious groves of pine, deodar, golden oak and cherry, this Pass boasts as one of the most scenic and pictorial passes in the country. Next day we leave the base camp by vehicles to experience the coolest place in the country, Pulag. 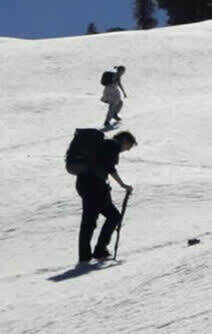 It is also at the highest peak, i.e., 9600 ft above sea level, you’ll have to make sure you carry warm cloths. During the day ahead, as we trek to Naya Tapru, you will be trekking from rocky edged trails to narrow trails, witnessing the true essence of trekking and experiencing the scenic view. We’ll stay for the night at Naya Tapru, have dinner here followed by creative discussions over bonfire. This morning you’ll be sun-kissed by the nature as you live amongst the freshness and liveliness of nature, away from the rustic, tough and monotonous life. We trek towards Chandrakhani, the most famous place for trekking with an excellent photographic view, filled with lush greenery. The mountains are covered with beautiful forest of pine and oak trees. You’ll experience the beauty of the famous Himalayan bird, Monal. The small villages will give you a glimpse of Kullu’s exotic culture. The next day, we head towards Malana, a tiny village amidst the lush green and shimmering snow-capped mountains of the Parvati valley, 9500 ft above sea level. Once we are done experiencing these mountains, we’ll travel towards Jari, a refreshing lunch will be awaiting you here. At Jari, be ready to be spell bound with the view of snow-capped Himalayas. 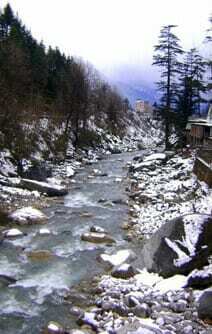 While we have a night over at Jari, the evening will be spent with visits to Manikaran and Kasol by vehicle. 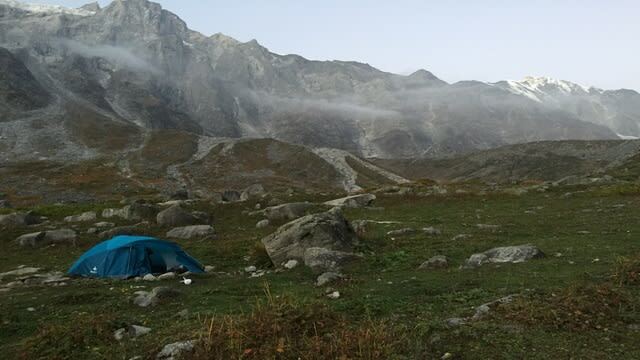 On the last day, we trek from Jari to Base Camp. The rest of the day can be utilized to either go for local sightseeing, you can choose to go for adventure sports or rest in base camp. A private drop to Patlikuhal will be provided, we can also assist you with the bus timings from Patlikuhal.